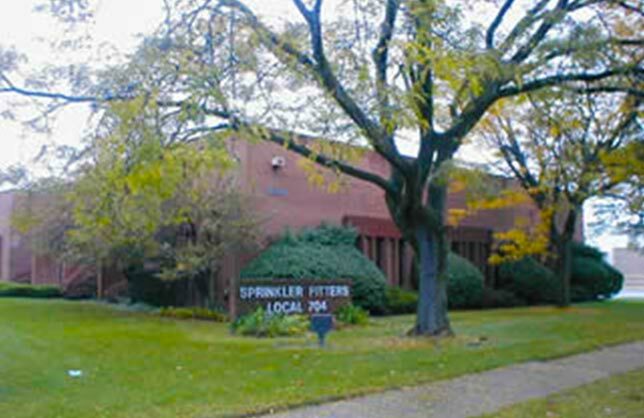 No organization serves the training needs of the Fire Sprinkler Fitting industry in Michigan like Sprinkler Fitters Local 704 and our International union, the United Association and its affiliates. Select from a search field of Contractors that will provide the services you require. Find professional Fire Protection Contractors fast for all of your residential and commerical Fire Spinkler projects. Please log in to access the Members Only sections. If you do not have a UA Card Number please contact the UA Local 704 Union Office and they will provide you with a temporary password. Fire Sprinklers Saves Lives and Property. The main objective for fire sprinklers is life safety. One of the earliest documented automatic sprinkler systems dates back to 1723 where Ambrose Godfrey used gunpowder to release a tank of extinguishing fluid. Throughout the years improvements have been made to the automatic sprinkler and its systems. Until the early 1940’s, sprinkler systems were used to primarily protect commercial buildings. Since then their uses have been expanded to protect lives in hospitals, office buildings, schools and apartment buildings. Today you can find automatic sprinkler systems in the heaviest of industrial buildings down to the single family home. Sprinkler Fitters Local 704 represents highly skilled members who spend the first 5 years of their career being trained in the various sprinkler systems and their applications, trained on all the latest NFPA codes, safety training, inspection and maintenance of all systems. Together with Local 704’s signatory contractors, we can help with all of your fire protection needs. Whether you do not have a system or need servicing and maintenance on an existing system, we’re here to help! There are various sprinkler systems available and we can help pair you with a responsible contractor who utilizes our skilled workforce. 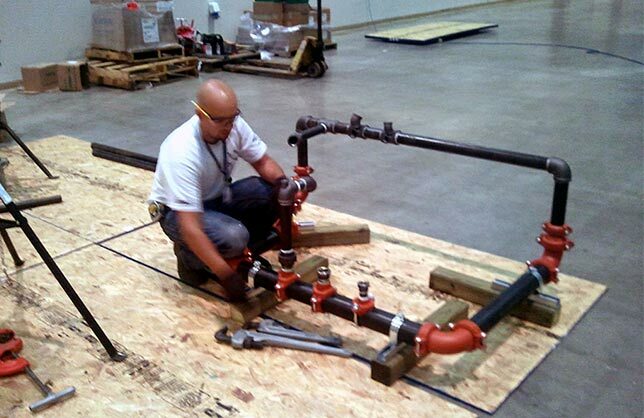 Interested in becoming a Sprinkler Fitter? Please see our training section for more information. You Can Pay Dues Online! Access your Dues online, please click here . We install, inspect, service and repair fire protection systems. From the underground water main to the overhead fire sprinkler, be it a one day job or a multi year construction project, we do it all, and we do it right the first time.